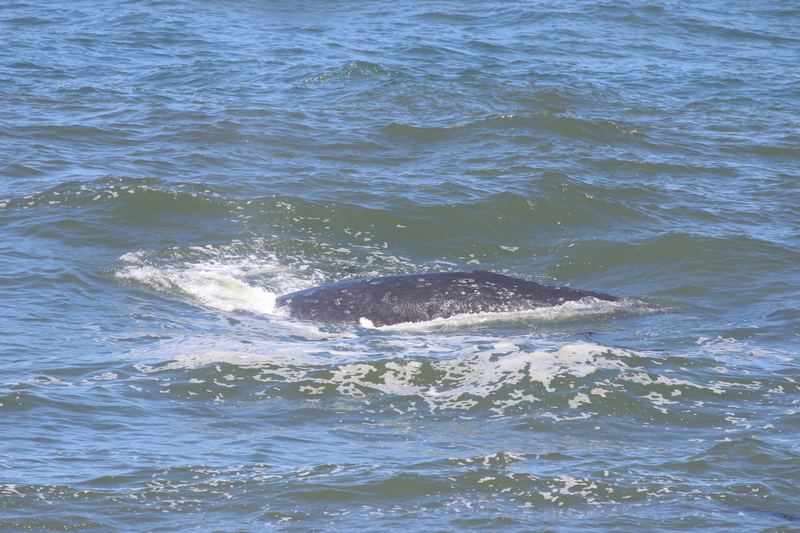 Gray Whales of the Oregon Coast; Preliminary field season! Hello all, Florence here with an update from the field! Its high time that I tell you a little bit about the rather exciting project getting started here at the GEMM lab. Concerning the foraging ecology of the Pacific Coast feeding aggregation of gray whales, and conveniently having a high potential to improve local conservation practices, my team and I are hoping to (1) document and describe fine-scale foraging behavior of gray whales, (2) assess the impact of vessel disturbance on foraging behavior, and (3) work with local communities, stakeholders, and whale watch operators to create sustainable, scientifically informed guidelines for vessel operations in the presence of gray whales. 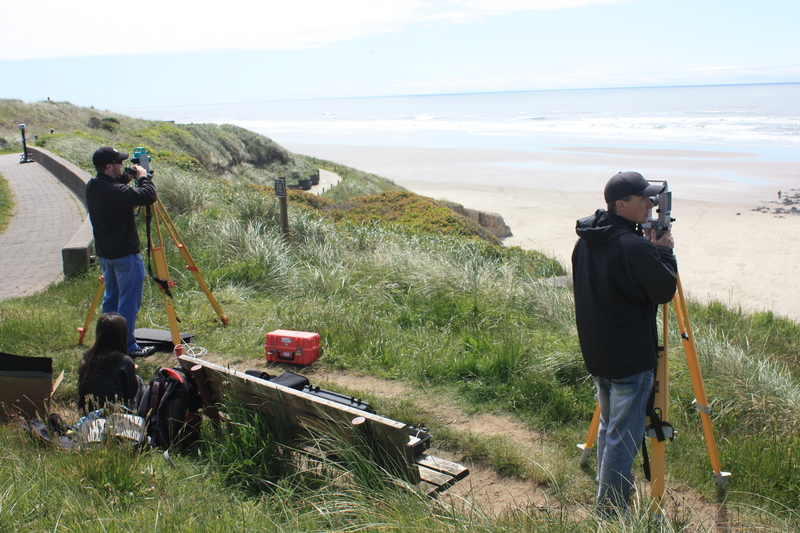 As with many things, collaboration is the key to success, and for the past month, I have teamed up with Miche Fournet of the ORCAA lab to run a theodolite-for-marine-mammals training camp. 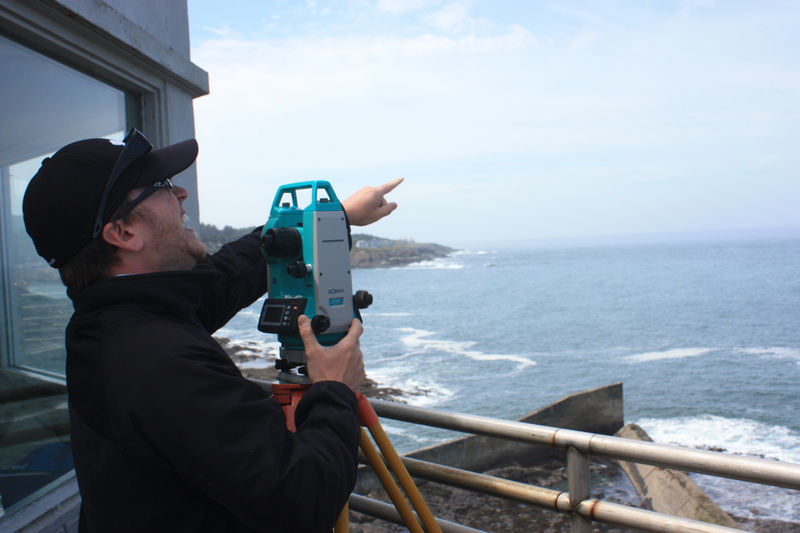 What is a theodolite you may ask? 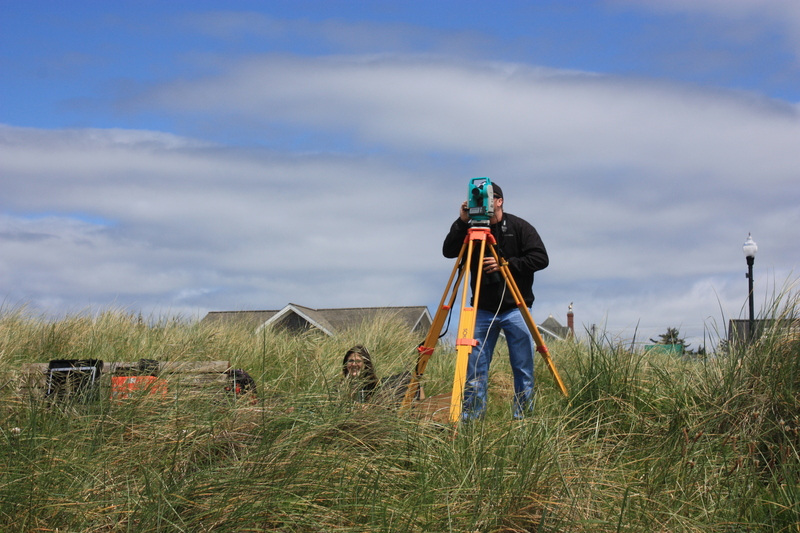 A theodolite is a precision surveying instrument used to measure angles in the horizontal and vertical planes. You may have seen one in use by a road crew or property surveyor. The instrument has also been adapted to marine mammal work because by knowing your own altitude and position, that of a secondary point, and using the telescopic sight to focus on a whale, one is able to calculate the exact location of that whale. Do this every time the whale comes up to breathe, and pretty soon, you have a fine scale track-line of exactly where that whale has been, for how long, and what it was doing. It was quite fun to learn the tricks of the trade with Miche and her Acoustic Spyglass crew, and we wish them a successful field season with the Humpbacks up in Glacier Bay, Alaska. Now we all know that a battle plan never survives the first engagement with the enemy, and a new scientific protocol is much the same. Spring Quarter is finished, and two of my interns, Cricket and Justin arrived here at the GEMM lab on Monday. Together, we have been field testing our new equipment, getting used to working as a team day in and day out and most of all, finding all the little kinks in the survey plans and computer program we are using to log our data. So far, we’ve seen 8 whales over the course of 4 days, improved our reflexes in scanning the horizon and “fixing” on our targets, managed to misplace a day’s worth of data in the confusion of computer programming, gotten faster at setting up all our equipment, talked with curious passer-bys and spent a lot of time staring at the blue horizon. And you know what? It’s been brilliant. This week was specifically set aside to figure out everything that could possible go wrong while there aren’t too many whales around yet. Now, we’ll be ready to hit the ground running when the real fun starts in July! Until next time, Fair Winds! 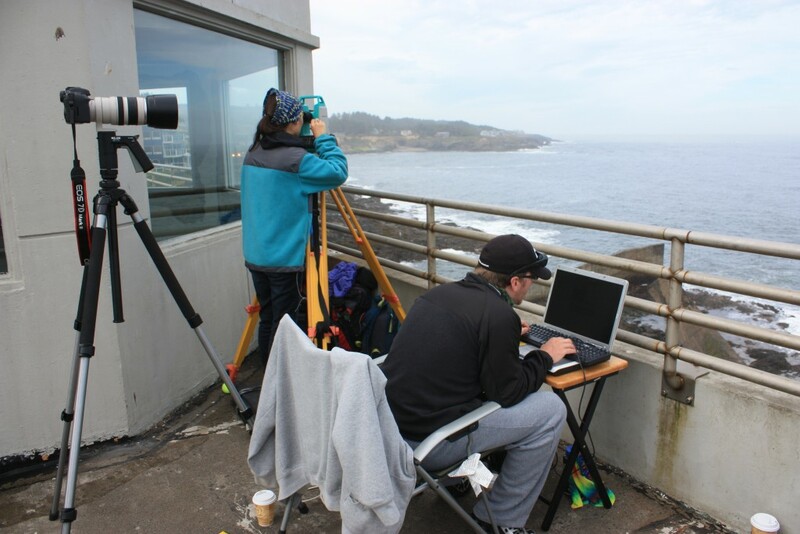 Testing the set up at the Depoe Bay Whale Watch Center with Cricket and Justin: interns extraordinaire! Great post. Love reading about your work. Keep them coming. We commence our third gray census in December from the Northern California coast. Fantastic, we’re hoping that our photo ID work can help add to the census data as well! We will be starting our fourth field season in November 2016, right after the ACS Conference in Monterey. It was great getting to meet you, Justin and Crickett at Boiler Bay. Look forward to getting back out there when you come back and will provide any assistance I can for you. Really appreciate the work you are doing. Thanks for sharing your photos with us Era!